Trello is a hugely popular online tool for general administration of a project or for collaborating amongst others. 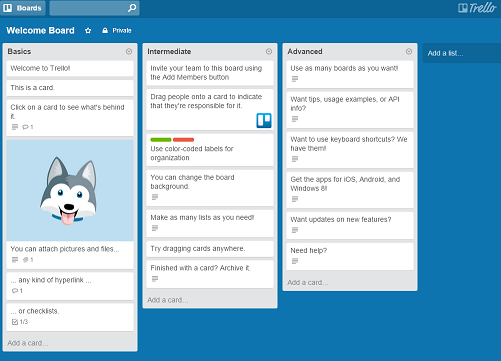 Many businesses increasingly rely on Trello to help manage their every day operations and processes. I would like to explain how you can make more effective use of your Trello data by producing a CSV backup. Using Trello's export tools you can create a data dump of your Trello data in JSON Format. JSON is a commonly used data format which is basically just a text file of compacted data. It is not very human-readable and is mostly used by programs to communicate with other programs. If you would like to read or work with the data from your Trello backup, it is useful to convert your Trello JSON dump into a human-readable format. CSV is a popular human-readable file data format because it can be opened in a spreadsheet like Excel or Open Office. Many tools are available inside a spreadsheet to work with the data such as searching, filtering, sorting and charting. to produce a quality conversion of your backup. You then have the flexibility and power of being able to work with your Trello data inside a spreadsheet. By default our converter will convert all the data to CSV at once, however, if you would like the data presented in a slightly different way, just let us know and we will find a solution for you. Why should I backup my Trello data? If you accidentally delete some objects on Trello, you will have another copy locally that you can refer to. You will be able to more easily integrate your Trello data with other systems. You can use local tools on your own PC to help you perform more powerful searches of your Trello data. If any legal issues arise concerning the data that has been entered into Trello, you will have a greater granularity of data history available for analysis. In the unlikely event of data loss by Trello, server instability or your own internet problems, you will still be able to access the information from the latest backup. Contact us if you have any questions about this procedure and we would be happy to help you out.